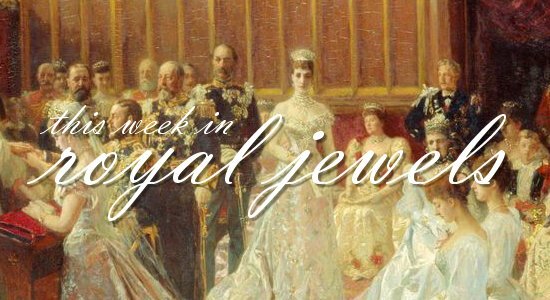 This week's royal jewel countdown starts slowly, but it crescendos to a seriously bejeweled bang! Don't forget to vote for your favorites in the poll below. 10. 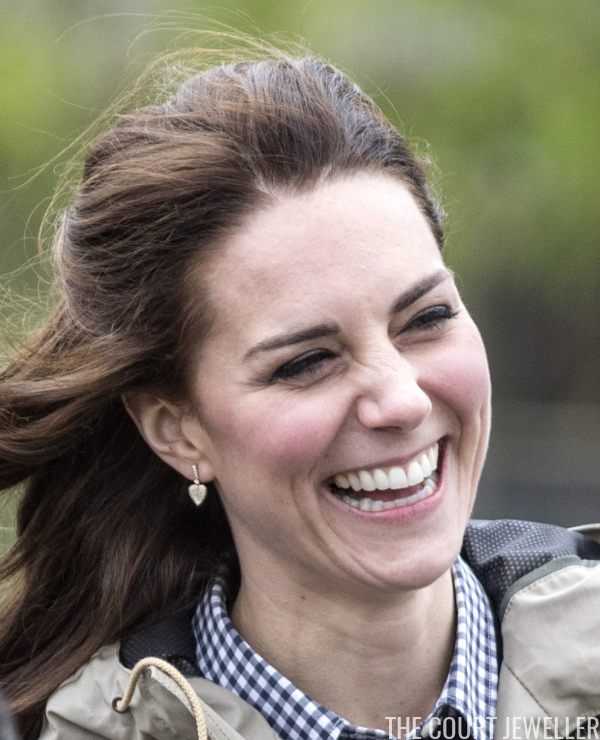 As she does for most informal events lately, the Duchess of Cambridge wore her Lauren leaf earrings from Kiki McDonough on Wednesday for a visit to a "Farms for Children" farm in Gloucestershire. 9. 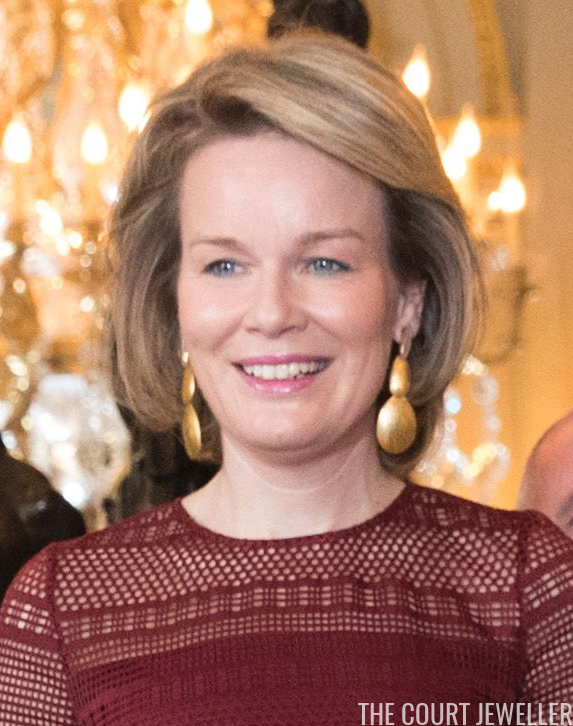 Queen Mathilde of the Belgians chose golden statement earrings to host the winners of the Queen Mathilde Prize at the Royal Palace in Brussels on Thursday. 6. On Wednesday, Princess Charlene of Monaco chose classic pearl earrings and a watch from the Van Cleef and Arpels Alhambra collection for a football match at the Stade Louis II Stadium. 5. 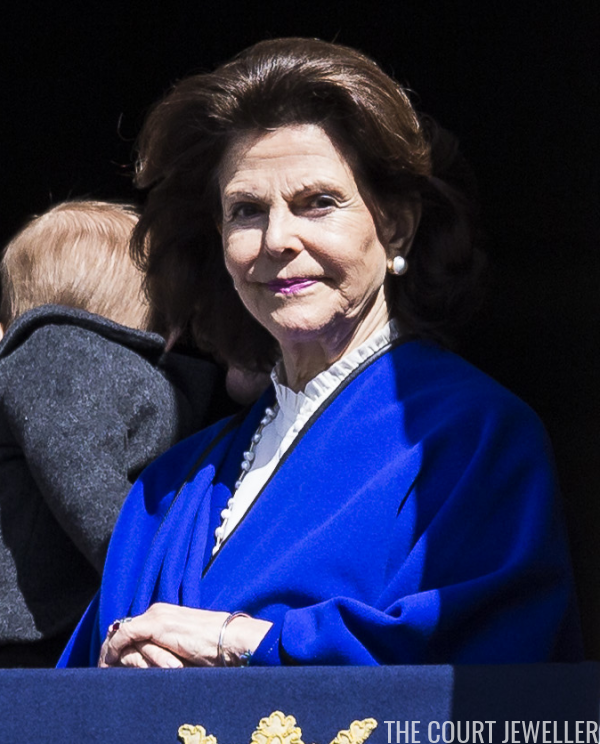 A somber Queen Maxima of the Netherlands wore her large pearl button and drop earrings, plus her diamond crescent brooch with pearl drop, for the annual Remembrance Day commemorations in Amsterdam on Thursday. 4. 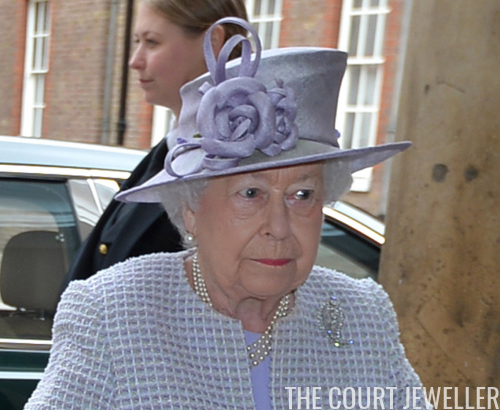 Queen Elizabeth II of the United Kingdom wore her mother's Palm Leaf Brooch -- and brought along her hale and hearty husband -- for Thursday's service for members of the Order of Merit at the Chapel Royal of St. James's Palace. 3. For her husband's private 50th birthday dinner on Saturday, Queen Maxima wore diamonds and rubies. 1. 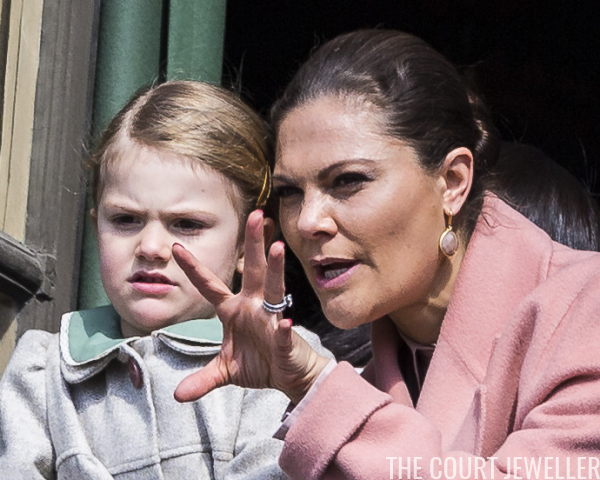 Queen Letizia of Spain was a stunner on Saturday for Willem-Alexander's private birthday dinner, wearing her ruby and diamond earrings with both of the diamond bracelets from the joyas de pasar collection.